Surfacing technology has developed rapidly in recent years and, perhaps because of its specialized nature, its scope and the benefits it provides are not widely recognized. This practical handbook deals with materials and applications processes used for improving the surface durability for engineering components in service. Acquaints readers with the subject and guides the choice of coatings and means of application to fit specific circumstances. 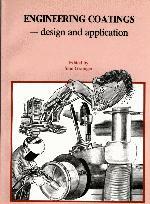 Extensively illustrated with clear photographs of equipment and applications procedures. Contains tables of process characteristics and material properties. Features technical papers provided by members of the Committee of the Surface Engineering Society and illustrations and information by many industrial organizations and individual authors. Mechanisms of Wear. Weld Surfacing Materials and Properties. Thermal Spraying Processes and Materials. Electrodeposited Coatings. Physical and Chemical Vapor Deposition Techniques. Plastics Coatings. Finishing of Surface Coatings Applied by Welding and Thermal Spraying. Quality Assurance.